A new report finds that a small number of U.S. airstrikes in Somalia killed 14 civilians and injured eight, despite assurances from the U.S. military that its strikes have caused no civilian casualties and only targeted the al-Shabaab militant group that controls territory in that country. The report by Amnesty International said the incidents investigated "may have violated international humanitarian law and could, in some cases, constitute war crimes." Amnesty International chose to investigate four U.S. incidents in Somalia's Lower Shabelle region and a fifth incident the organization claims was "most plausibly caused by a U.S. airstrike" that took place between 2017 and 2019. The strikes represent only a small fraction of the more than 100 American airstrikes that have taken place in that country in the last several years. In its review of the five incidents, Amnesty International alleges 14 civilians were killed either because they were near a U.S. target, like a vehicle, or mistakenly identified as al-Shabaab. The organization interviewed 65 witnesses and survivors from the five incidents, as well as 77 additional individuals connected to other alleged U.S. strikes not detailed in the report. irman 1st Class Johnathan, 386th Expeditionary Aircraft Maintenance Squadron crew chief, and Airman 1st Class Brandon, 386th EAMXS avionics specialist, conduct flight control checks of a MQ-9 Reaper launch in Southwest Asia, Feb. 21, 2019. "In addition to this first-hand testimony, the report draws on several types of evidence, including analysis of satellite imagery and data, photographic material, interviews with government officials, medical personnel and other experts, and an open-source investigation including analysis of traditional and social media, academic articles, and reports from NGOs and international bodies," Amnesty International said. Still, the group acknowledged that "security concerns and access restrictions" limited their investigation. In a statement provided to ABC News, U.S. Africa Command said the report "does not accurately reflect AFRICOM's record in mitigating civilian casualties," adding that assessments of civilian casualty allegations submitted by Amnesty International found "no AFRICOM airstrike resulted in any civilian casualty or injury." "Our assessments are based on post-strike analysis using intelligence methods not available to non-military organizations," AFRICOM said. 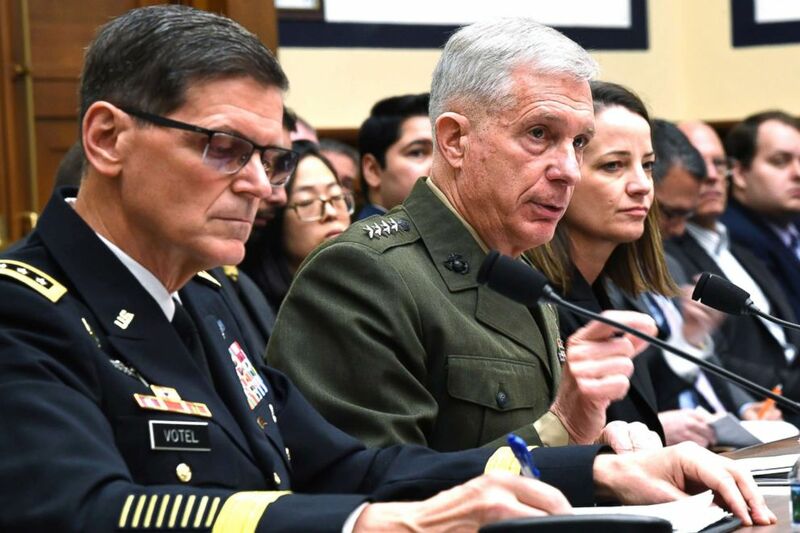 U.S. Africa Command Commander Gen. Thomas Waldhauser, center testifies before the House Armed Services Committee on Capitol Hill in Washington, March 7, 2019. Beyond these five incidents, Amnesty International's report highlights that the pace of the U.S. air war in Somalia has escalated under the Trump administration -- a sharp contrast to the president's vocal desire to pull back America's military commitment from places like Syria and Afghanistan. The number of strikes increased from 35 in 2017 to 47 in 2018 and stands at 28 over the first three months of 2019. In its releases, AFRICOM said strikes this year have killed about 241 al-Shabaab militants, with no civilian casualties. 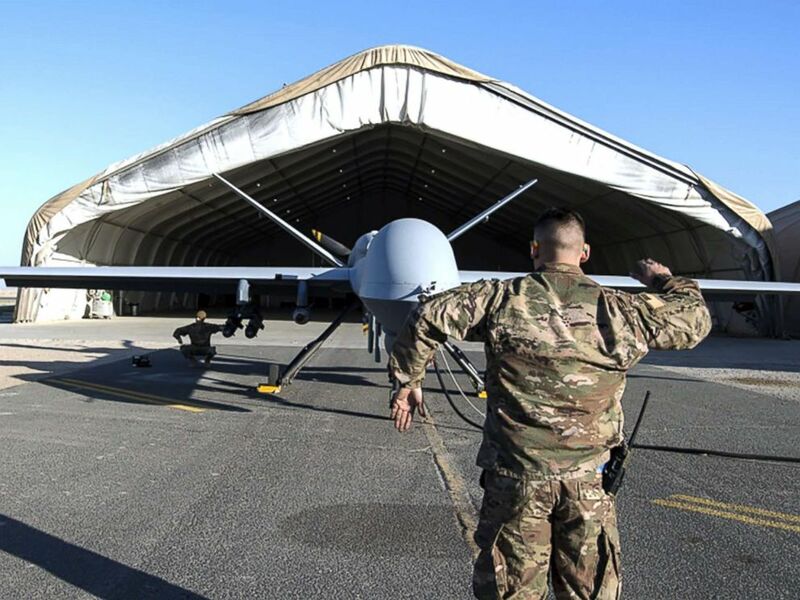 The U.S. has been using drones to strike "high-value targets" in Somalia since 2011, but when Trump entered office in 2017 he issued a directive that allowed for offensive capabilities and designated parts of Somalia an "area of active hostilities," which Amnesty International said weakened protections afforded to Somali civilians. Retired Brig. Gen. Donald Bolduc, who served as the commander of Special Operations Command Africa from April 2015 until June 2017, told Amnesty International that Trump's directive allowed for "all military-aged males observed with known al-Shabaab members in specific areas" to be considered legitimate military targets -- possibly a violation of international humanitarian and U.S. law, the group said. AFRICOM disputed Bolduc's assertion, telling Amnesty International it did "not accurately reflect the targeting standards of AFRICOM or [the Department of Defense]." In the statement to ABC News, AFRICOM added that it "complies with the law of armed conflict and takes all feasible precautions to minimize civilian casualties and other collateral damage." There are currently about 6,000 American troops throughout Africa who mainly help to train local forces or partner in exercises, with about 4,000 of them stationed in Djibouti, a strategic country in the Horn of Africa. The Pentagon is planning a 10 percent reduction of U.S. troops across the African continent, but those cuts likely won't impact counterterrorism operations in Somalia, where the U.S. has about 500 troops. AFRICOM's Commander Gen. Thomas Waldhauser conceded last month in testimony before Congress that U.S. strikes would ultimately not defeat al-Shabaab. "... At the end of the day, these strikes are not going to defeat al-Shabab, but they are going to provide the opportunity for the federal government and the Somalian National Army to grow and assume the security of the country," Waldhauser told the Senate Armed Services Committee. The full Amnesty International report is available here.